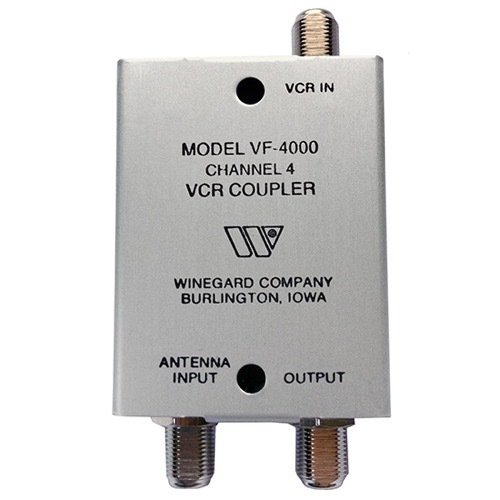 VF-4000 FILTER (VHF) Filters pass channel 4 from satellite receiver or VCR and eliminate all other channels which may pass through the satellite receiver or VCR when not in use. Coupling input provided for antenna where adjacent channels are not present. Not AC/DC passive. Channel of output VF-4000 = Chan. 4.